In a letter sent to all National Federations and Continental Unions, the World Taekwondo Federation informed it will take the necessary actions against anyone who improperly uses the logo of the highest governing body of Taekwondo. 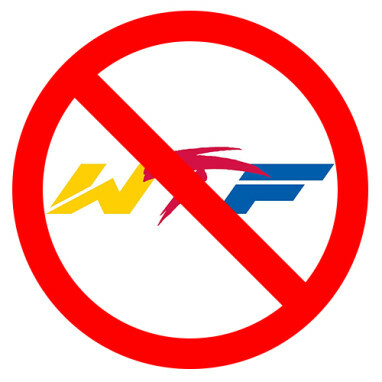 Signed by WTF Secretary General, Jean-Marie Ayer, the WTF sent a letter to all national associations and continental unions to inform about the illegal used of the WTF official logo. “Unfortunately, I must write to you about an issue of growing concern. As you may know, some companies illegally use the WTF name and marks, including our logo, on their products” said Ayer in the letter. The letter ends with an emphatic request to all MNA´s: “Our members and stakeholders should strictly avoid use of products that illegally use the WTF name and/or logo, and should avoid associating with companies that are illegally using the WTF name and/or logo”.